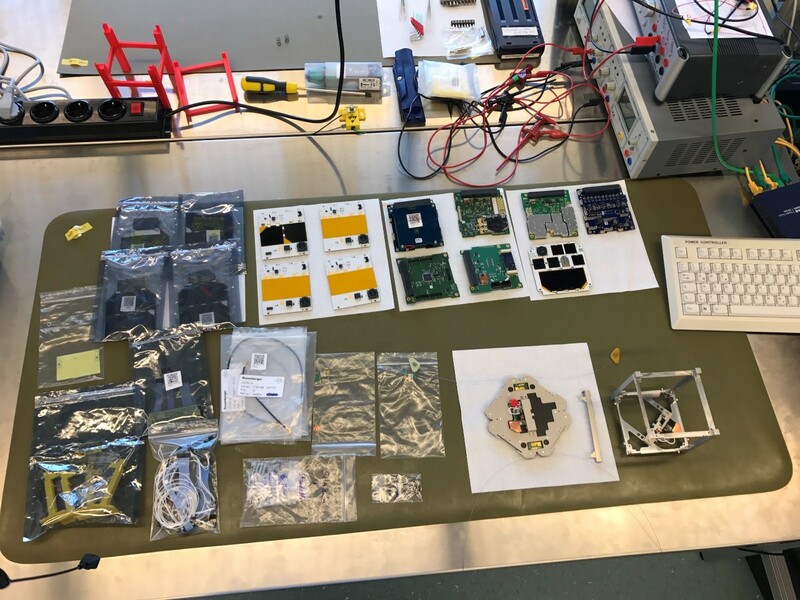 During the last two weeks, we at MOVE were able to celebrate a huge accomplishment: Our AIT team (Assembly, Integration & Testing) successfully integrated our Engineering Model for the first and second time. Until then, we had installed all hardware on our FlatSat in order to facilitate debugging. The first attempt constituted a test and it provided us with the possibility to evaluate the integration procedure, whilst the second integration based on the revised procedure and aimed at actually assembling the Engineering Model. 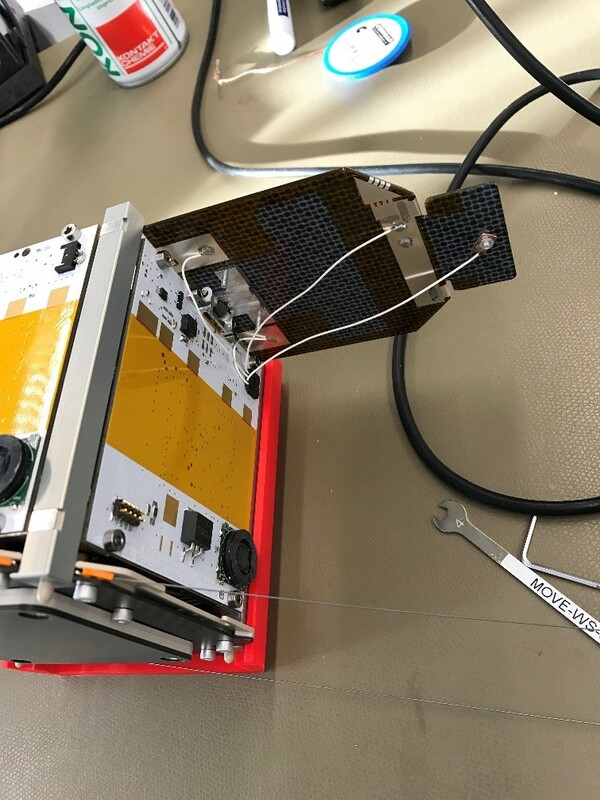 The integration of our satellite requires some preparation: At first, a technician needs to disconnect all boards from the FlatSat and has to do so very cautiously in order to avert damaging the connectors. Once all hardware is ready, the integration procedure can start by assembling the 2SMARD halves (confer previous blog post) into the bottom frame and the Antenna Deployment Mechanism (ADM). Given the experience of the STR team (Structure), which had already assembled these parts multiple times, the AIT team correctly installed the shape memory alloy and mechanical springs of the 2SMARD mechanism. Its electronics include a sensor that determines whether deployment was successful. Since this sensor requires calibration after each assembly in order to boost its reliability, we gauged it before continuing the integration. Once the 2SMARD, ADM and bottom frame are mounted, we need to stack the individual boards. Afterwards, a small test proves correct integration. Via the PC-104 bus, a validation software running on an external computer can establish a connection to the satellite and check whether the software can reach all boards. This is where every person in the integration room holds his or her breath, but after receiving a relieving confirmation from the dedicated test script, the integration can continue by attaching the rails to the bottom frame of the satellite as well as mounting the top frame on these rails. While all stacked boards are interconnected by the PC-104 bus, the side-panels and flap-panels require connection via cable. Branching these cables as well as mounting the side-panels are the next steps in the integration procedure. The AIT team previously determined the cable configuration (cable lengths and connector types) and manufactured the cabling accordingly. An important aspect of our first two integrations was to check whether all cables have correct length and fit into the designated spaces. Since the integration of cables in a 3D CAD model can be inaccurate and thus is not reliable, this step needs to be performed with actual hardware. As the picture demonstrates, some parts of the cabling require considerable bending in order to fit snugly into their positions. As a result of the issues encountered during the first integration, the cabling for the UHF/VHF antennas as well as the S-Band antenna had to be reconfigured. 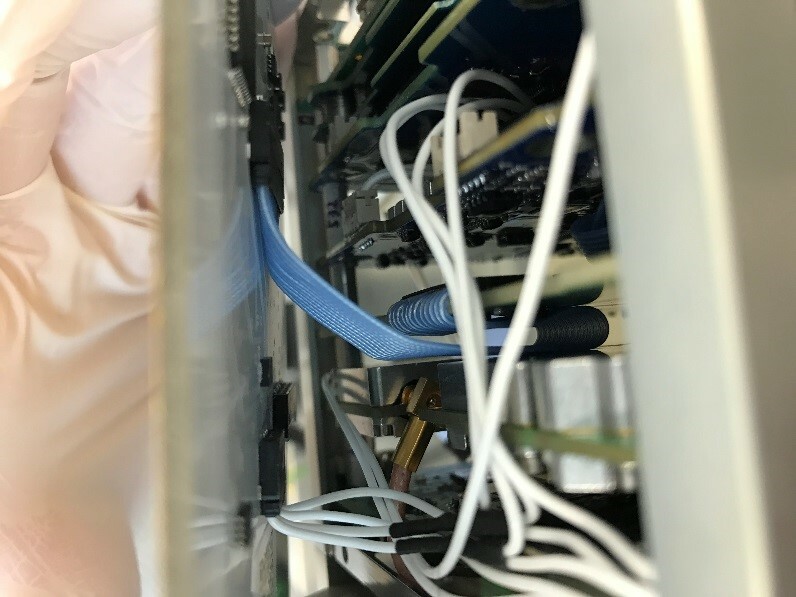 The final step of the integration procedure comprises attaching the flap-panels with their solar cells onto the side-panels of our satellite and connecting the corresponding cabling. The solar cells on these flap-panels provide the satellite with the energy necessary for its functionality in low earth orbit (LEO). During the integration, we need to treat the solar cells with enormous care since they can easily be damaged. Conclusively, we proudly can announce that the MOVE-II project accomplished integrating the Engineering Model of its satellite on March 13, 2017. During the weeks and months to come, the Engineering Model will be tested thoroughly. The next important test scheduled for our satellite is the shaker test which we expect to prove the mechanical stability of our satellite system.